Michael P. Morley, who led Rochester Institute of Technology as its Board of Trustees chairman from 2005 to 2009, died Thursday. Mr. Morley, of Pittsford, was 66. 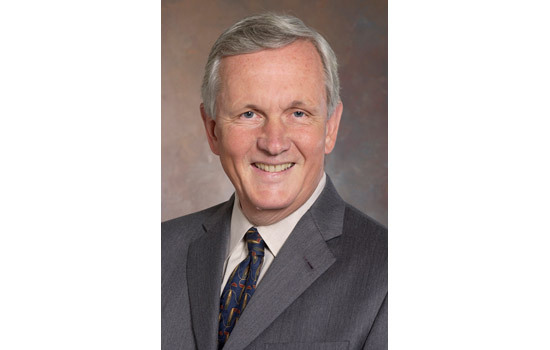 Mr. Morley, a 1969 RIT graduate in business administration, spent his career at Eastman Kodak Co., where he climbed the ranks before retiring in 2004 as chief administration officer and executive vice president. Mr. Morley was also responsible for hiring President Destler in 2007, who replaced the retiring Al Simone. Simone recalled Mr. Morley’s diligence and dedication. At the Nov. 13 Board of Trustees meeting, Mr. Morley’s tenure as board chair ended and the gavel was handed to Donald Boyce ’67 (business administration). The new board chair says following Mr. Morley will be a difficult task. Mr. Morley and his wife, Jean, were married more than 45 years. He is also survived by three grown children and three grandchildren.